Fall is upon us, one of the highlights being new fall running clothes! I love running fashion and look forward to the new season releases. Here are my current favorites in run clothes, plus a few extras I'm loving right now. First up, the Oiselle bum wrap. It's become my go-to long run bottom, my run-then-hang-out-with-friends bottom, and my wear-other-times-because-I-feel-like-it bottom. I expect you'll see me wear it for the Dublin Marathon in October (unless the weather doesn't cooperate.) It's cute and fun, plus completely functional; I was pretty shocked the shorts didn't ride up at all. The newest version also has a small pocket in front. I highly recommend this one. I also love its underneath counterpart, the stride short, for long runs. Bum Wrap, in indigo melange. Seen here with the Peacenik top and Flyte tank. For some more Oiselle goodness, I love the new Feather Burnout and Fly Track tees. I could live in these tees anyway, I have a ton, and these are my two new favorites from the season. They are part cotton, part wicking and I wear them both for casual days or for running. Feather burnout tee in Indigo, on me (left). Fly track tee in Ribbon. The next one is a shocker for me. I've stuck to Brooks running shoes (Adrenaline) for the last few years, trying on other brands but never actually straying. Due to my consistent calf pain, I recently went to a running store to be fitted for shoes. They agreed the Adrenaline was good for me, but also suggested trying the Asics 3000 to see if a shoe change would help. I find it to be a great shoe for me and I get excited to run in it; generally it is nice to have something else to rotate into the line up aside from my usual 2 pair of Adrenalines. I like a few things about the shoe, specifically that it feels different and lighter when I run. It has a very roomy toe box, so much that I don't need a wide width, and the mesh upper breathes really well. I haven't done any runs longer than 8 miles in them so far, but I'll be working up to it over the next couple of months. When I went to the running store to discuss calf pain, they also told me about this amazing little ball called Foot Rubz. 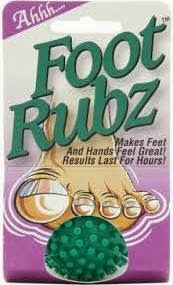 I never knew how tight my feet were until I used this - holy cow did it hurt the first time! Now I'm using it regularly and it's better, but some days my feet still feel crazy tight. I feel like it really helps my feet and other muscles attached to my feet feel better. However, the jury is still out on if it specifically helps my calf pain. Photo from Honey Stinger product listing. That's the end for now. Let me know if you love any of these too, or if you check them out. Have a great weekend! I still haven't tried the Stingers yet. I have a packet at home still from a previous race. I'll have to break it open this weekend! Do it! I love them. Hey there, new follower! I love the Oiselle clothes. I have become totally addicted! You have to go get the flyte tank if you don't have it already, the long sleeve version is already on my list to buy. It's amazing! I love the flyte tank too! 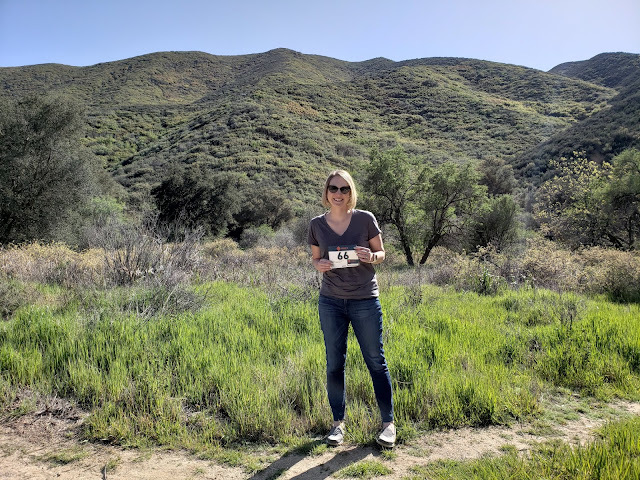 So glad to hear you love Oiselle, I'm a huge fan (and ambassador). :) Thanks for following! I love the bum wrap as well...I have the old one and the newer one with the pocket. As much as I love the pocket, though, I love the older model more since the skirt doesn't flounce out as much. I don't have the old one, but I thought that was the case from photos! How funny. Hmm. Working calfs too hard? Sounds like me with my endless series of calf strains. Among other things, Chi running teaches loose and floppy lower legs...working for me for the last 9 months with some really intense training...no calf strains, no calf trigger points! Maybe working them too hard. Strange, but they actually feel better when I run more days in a row and I think it keeps them looser. I will look at the Chi technique! I've been eyeing those Oiselle shirts -- what do you think of the fit? Do they run true to size? I use a tennis ball for my feet as well as my glutes and sometimes my calf too. I find that it works great for me. I've debated whether to get the Trigger Point massage ball, but I'm too cheap to pony up the $20 when the tennis ball works just fine. If you look at the size chart, I feel they run true to the size chart. I have wide shoulders so I buy large in most, but I am able to do medium in some tanks too. Maybe try to find it in a running store near you to try it on? I love the Burnout Tee - need to get one of those and the Flyte Tank! I'm curious to try out some Asics. I'm really struggling in my shoes - so much I lipped the last 4 miles of my race today. I know Asics were recommended once, not sure the model. Is the toe box really wide? I think thats one of the things I need. The burnout tee is so cute -- I have been thinking of adding that to my must-buy list once I get my next paycheck. 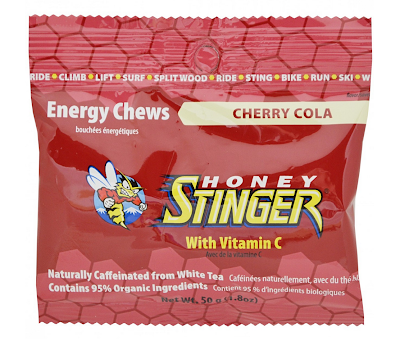 :) For long run fuel, I have been using Clif Shot Bloks, but I have heard lots of good things about Honey Stinger Chews. Thanks for the recommendation! I like Sharkie's too! Clif chews were what I used and then decided to try the Honey Stinger for new flavors. I still use both actually to change it up. Foam rolling helps but not enough sometimes. I think I just have weird calves!